In order to ensure the convenient use of a phone in any situation, companies offer different solutions they have come up to in order to satisfy their customers’ needs. 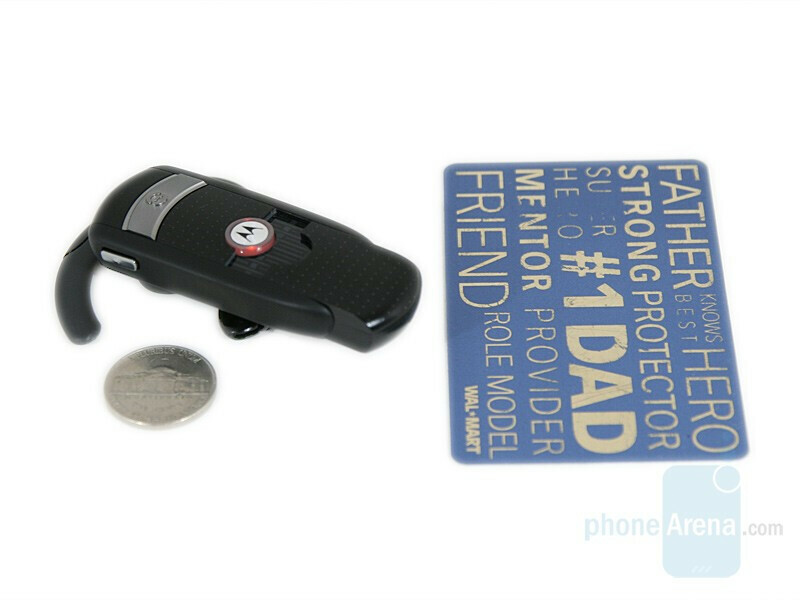 Motorola is a company with a long history and a significant role in the development of communication technologies, as well as being one of the biggest mobile phones and accessories manufacturers. 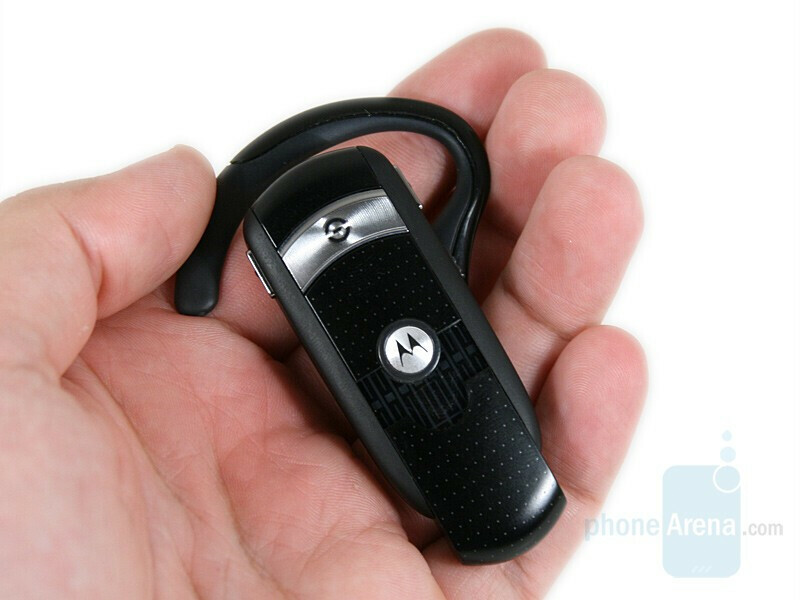 Today we are going to focus on one particular offer from Motorola, namely Motorola H800 – Bluetooth headset, which stands out with its interesting sliding design. 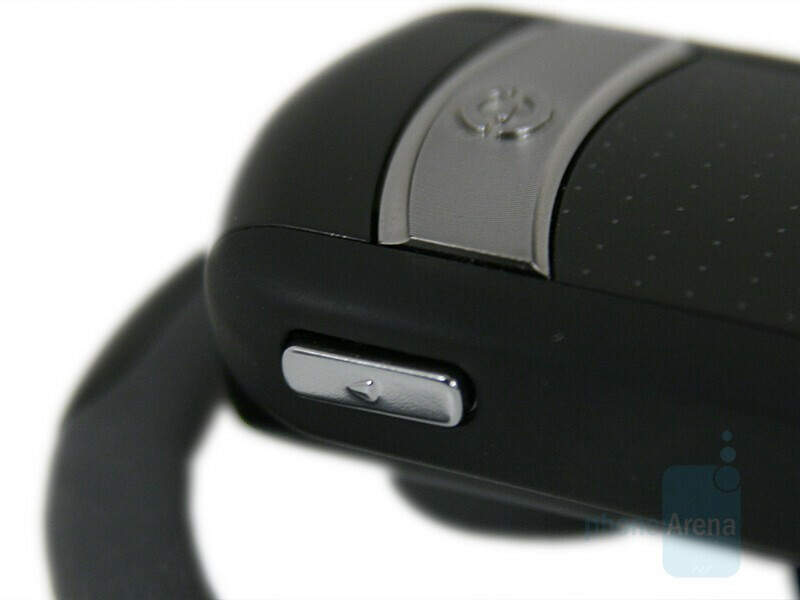 The device is equipped with a sliding mechanism, similar to that of Nokia’s BH-900 and Jabra’s BT5010, the only difference being that the mic, together with the sliding part it is fitted on, are released by a button and open automatically. This is an interesting solution which, apart from making the phone look more attractive, also makes the turning on and off of the headset easier. 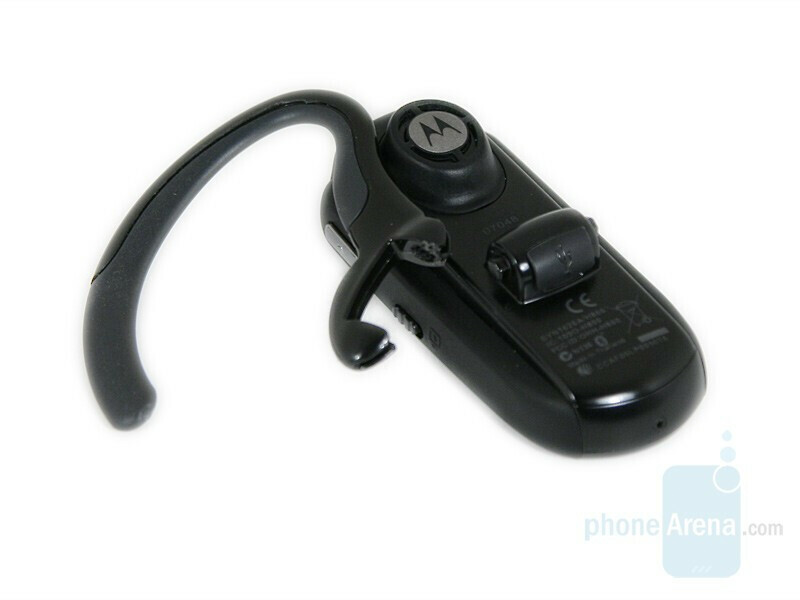 The dimensions of Motorola Slider Bluetooth Headset H800 are 60/68 x 27 x 22 mm (closed/opened) and it weighs 17 g, which makes it one of the heavier and larger devices on the market. Its dimensions and its length vary because the mic is fitted on a slider, which opens and closes, thus switching on and off the handsfree. Apart from being an interesting designer solution, the slider reduces the distance between the mic and the mouth and therefore contributes to improving the sound quality during conversation. The phone comes in five colors: black licorice, silver quartz, dark pearl blue, fire red and silver moss. 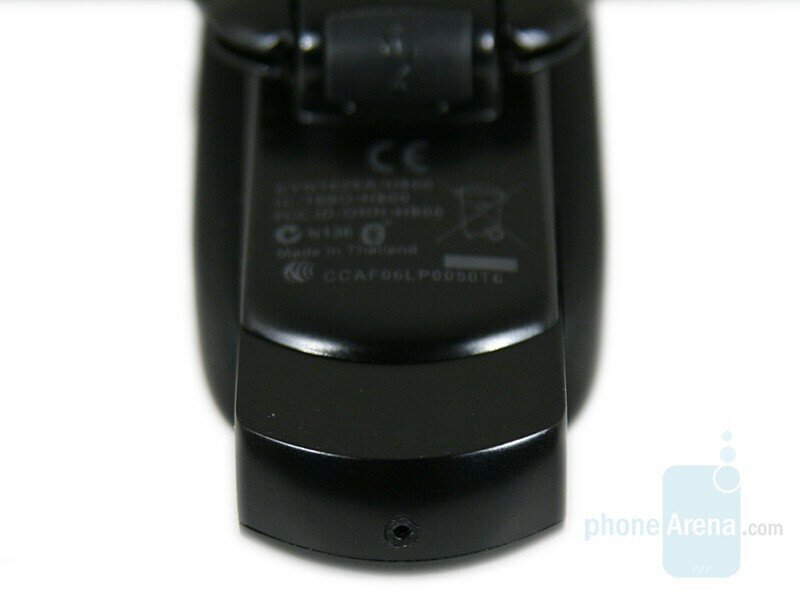 The headset that we are going to test, is the black licorice variation and it is made of black plastic, which is covered with an anti-slippery material on the sides and the rest of it is opaque. 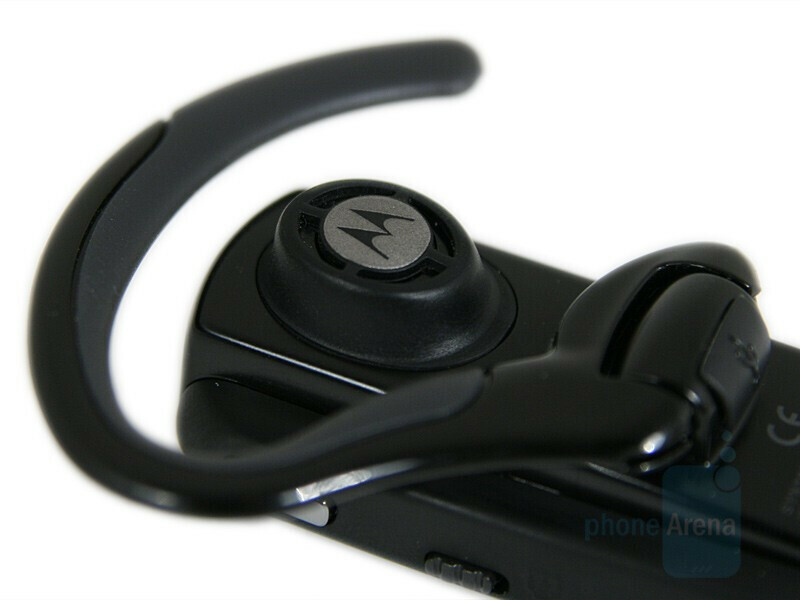 The movable earhook is made of plastic and rubber and, typically for Motorola, it is attached by a two-direction movement, which excludes the option of it being adjusted upwards/downwards. 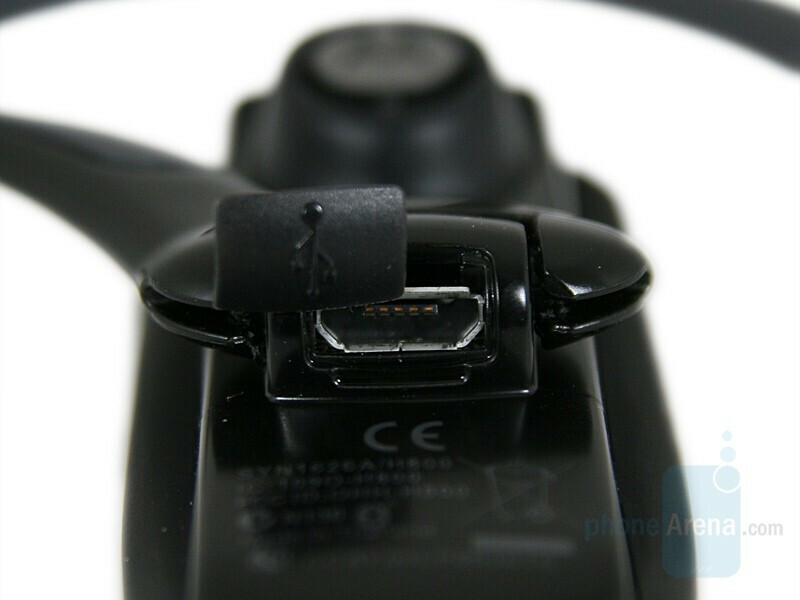 The MicroUSB charger connector is located on the exact place where the hook is attached and is covered with a rubber lid to prevent it from soiling. The receiver’s loudspeaker is on the back, covered in soft rubber to make it more convenient to wear. There are three keys (a call key and two volume keys), and a slider lock switch. The three keys are easy to press and have a good tactile feedback. When pressing some of the volume keys, you’ll have to be careful not to press the one opposite it with your thumb. The slider lock switch is hard to slide, but this is done on purpose, to prevent you from locking the slider by chance. There is a light indicator to inform you of the current status of Motorola H800, showing a few different colors, depending on the phone’s status. 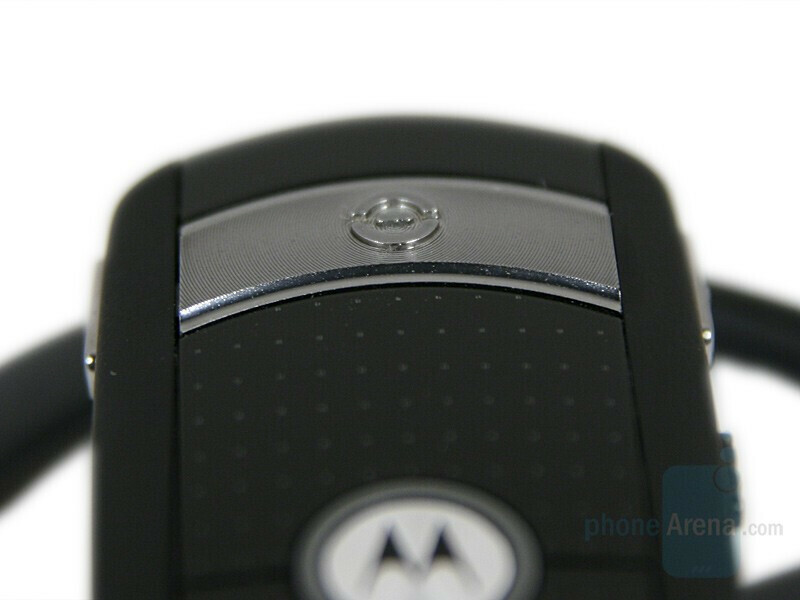 (user guide) The sensor is located on the phone’s front and represents a thin ring around Motorola’s logo. 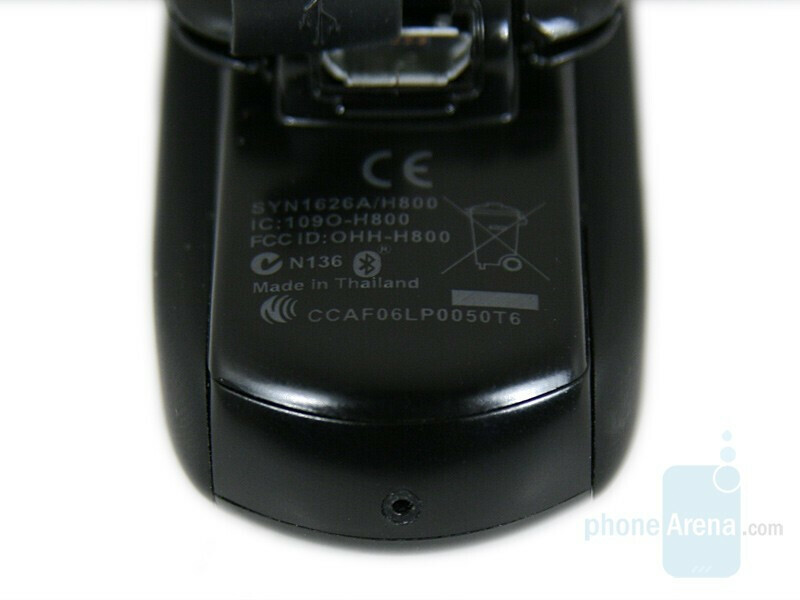 Apart from showing the headset’s status, it also highlights the company’s logo.